Daily Debate: Are the NPCs of Zelda Shallow? 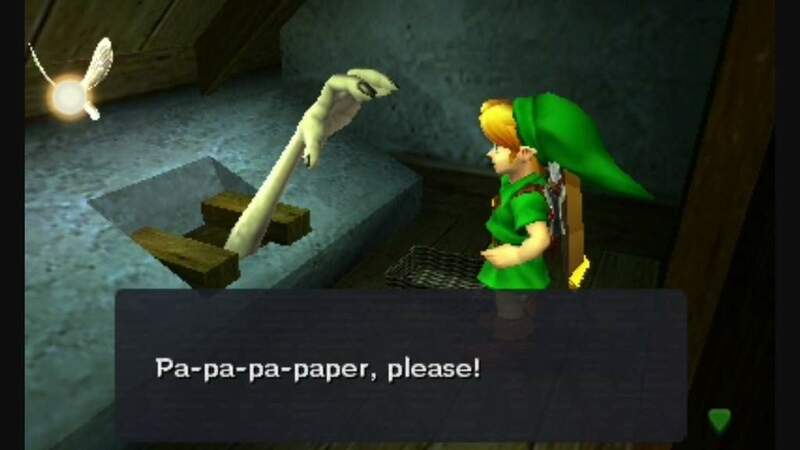 The Legend of Zelda is known for a lot of things, one of them being the promise of strange, striking or in some way warped NPC characters that you meet on your travels. From the diligent, ape-like incarnation of The Postman from Twilight Princess, a slit-eyed Potion brewer simply named Granny, or the infamously uncanny Happy Mask Salesman, these weirdos are memorable and introduced in droves. Looking back at the late Iwata’s Interviews, Iwata Asks, it turns out the show Twin Peaks had a very large influence on the world of Zelda and its characters. Starting with Link’s Awakening, they wanted to create a feel that was “somewhat like Twin Peaks” as it focused on a small array of characters, and whilst the scope for awakening was small, “it would have deep and distinctive characteristics.” In a similar vein, they wanted to “make all the characters suspicious types”, a trend that has continued throughout the series from the earliest of outsets. These elements add a certain amount of unique appeal to your adventures. Whilst you might not get to know these characters intrinsically, you pass them by briefly, their whole entity interesting and strange. Whilst this is perhaps the best recipe for a stock NPC character, where your interactions are brief, it’s a shame most aren’t expanded or explored, merely glorified scenery than true characters. Majora’s Mask is the exception, fleshing out its microcosm of locals, each having a story to tell and a schedule over the three days through the Bomber’s Notebook. To see something similar return could be interesting. I love that a direction taken so early in the series has become a franchise hallmark, but would you like to see these characters developed? Or are you happy meeting and parting a crazy gaggle of critters? Who’s your favourite NPC? Who’s your least? Let us know in the comments below!